I am so sad that it is all over for another year! The lovely Emily Williams (check out her designs on Rav!) with her covered Fair Isle books wot she made! look at that face and those horns…and that fleece! Comrade and Woolly Mucker go to the marts. Wool Week knows how to cater! 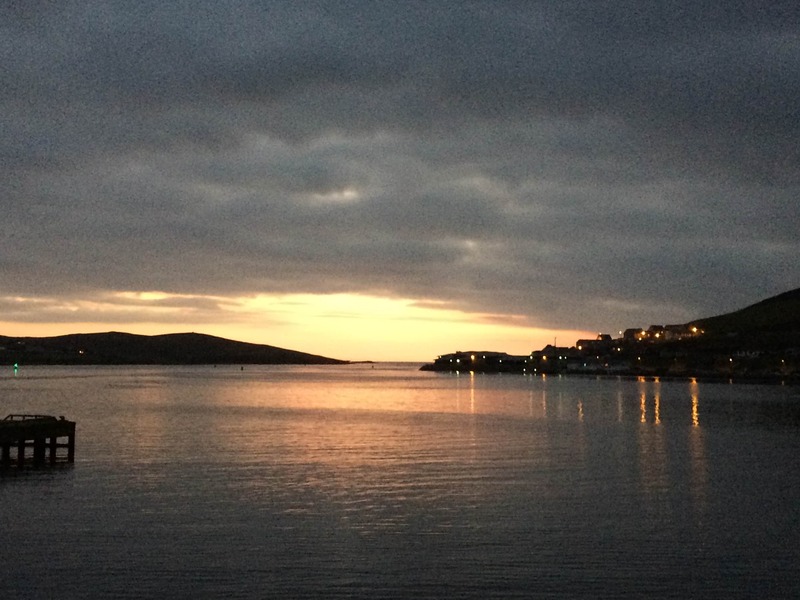 and the sun sets on the last day of Shetland Wool Week 2015. What a special week it was. 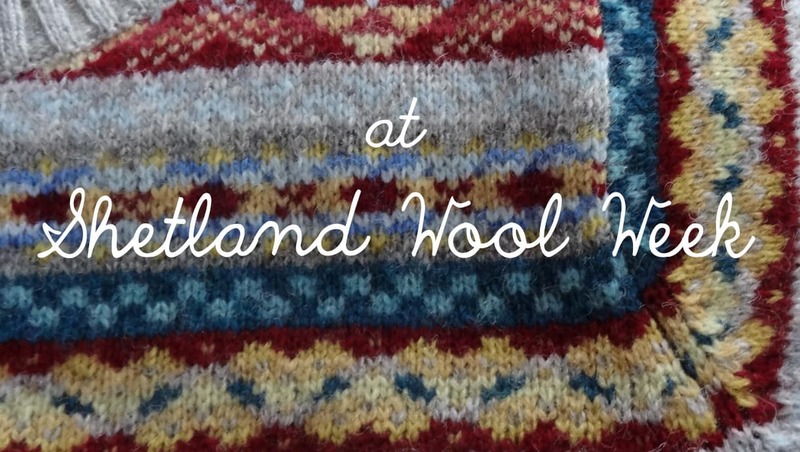 A great Shetland Wool Week by all accounts. My son, Adam, said everything went well and there were visitors from around the world. Recapturing the wonder of Real Shetland Wool, grown by the crofters and sheep producers of Shetland was the starting point for SWW. Mislabelled products made with wool that never saw Shetland almost destroyed the Shetland textile industry Heritage but with support from some dedicated people there is light at the end of the tunnel. Shetland wool producers have been protected from the huge falls in wool prices on the mainland only because of our work in ensuring only products made from wool grown in Shetland carry the 3 Sheep logo. Many thanks to all the organisers, the visitors, the wool producers of Shetland. It is now an international event and one we can all be very proud of. We came in last night after two days of travel, tired but with wonderful treasured memories from Wool Week. It was great meeting you and many others in person. I have ‘some’ yarn to work my self though now! LOL! you too! I hope you manage to get some well earned rest after all that travel! Next Postepisode 43 – WOOL is wondrous!